To anyone infatuated with science fiction, a Dyson sphere might be the Holy Grail. 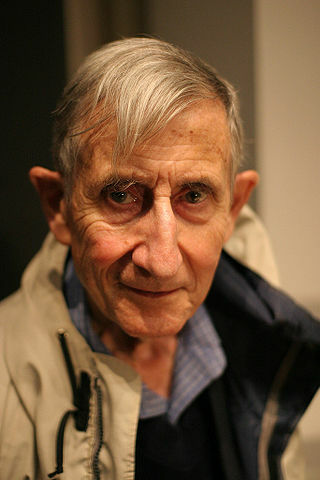 As physicist Freeman Dyson postulated and popularized more than half a century ago, an advanced, energy-hungry civilization might be driven to harvest as much power from their life giving star as possible, prompting them to erect a gigantic structure that would completely encapsulate it and collect all of its energy. Dyson originally fleshed out the concept in the context of the search for extraterrestrials. He suggested that alien hunters on Earth should scan far-flung star systems for signs of megastructures. "Such a dark object would be radiating as copiously as the star which is hidden inside it, but the radiation would be in the far infrared, around 10 microns wavelength... I propose then that a search for point sources of infrared radiation be attempted, either independently or in conjunction with the search for artificial radio emissions. A scan of the entire sky for objects down to the 5th or 6th magnitude would be desirable..." Dyson wrote. The physicist also excited readers with the notion that we humble Earthlings could one day construct our own Dyson megastructure. While such a gargantuan undertaking is clearly unfeasible at the moment, it's never to early to start planning! Dr. Stuart Armstrong, a researcher at the University of Oxford's Future of Humanity Institute, has done just that, forecasting how humanity could one day build a Dyson swarm around the Sun. Unlike a shell-like Dyson sphere, a Dyson swarm would be composed of living habitats, satellites, and solar energy collectors orbiting like a net around a star. Energy would be transferred wirelessly between the individual components and Earth. Alternatively, millions of mirrors could be used to focus light onto a fewer number of collectors. So how do we realize such a grandiose vision? In a 2012 lecture, Armstrong provided a highly abstract outline. First off, the entire building process would be carried out by automated, self-replicating robots. An army of these mechanical workers would be sent to Mercury to mine it for raw materials. He estimated that roughly half of the planet would be usable. Over roughly fifty years, the robots would multiply and build up the swarm of panels and satellites, until all of Mercury's raw materials are extinguished. True, the depleted planet would be a husk of its former self, but would we really miss it? Armstrong even titled one of his presentation slides, "Sorry, Mercury, it's nothing personal..."
If you're skeptical of this plan, good, you should be. We're nowhere near actually accomplishing it, but it is fun to think about. However, Armstrong does present a coherent argument constructing a Dyson swarm is entirely plausible. He reasons that if something is possible in nature, there's no reason why humans couldn't also do it eventually. He specifically mentioned artificial intelligence and replicating cells. With these two foundational tools in hand, all that's needed is automation and advanced 3D printing, which we're already getting good at. "Hence, scale is not in itself an insurmountable barrier," he said. "Disassembling a planet is basically disassembling an asteroid, excepting doing it again, and again, and again," he added. Who knows? Given a thousand years time, a Dyson swarm might seem inevitable, rather than impossible.